Today, HP has announced a range of new services and solutions to help businesses gain more flexibility and scale. 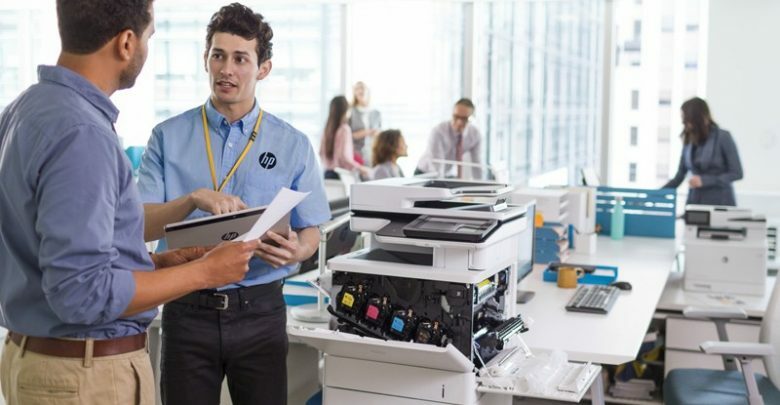 The security technology and enterprise expertise include a powerful new HP FutureSmart firmware release for HP Enterprise-class printers and MFPs, Immersive Analytics Service and the integration with both McAfee Security Information and Event Management (SIEM) and Microsoft System Center Configuration Manager (SCCM) – an industry first for print devices. Immersive Analytics Service: Leveraging HP Labs’ advances in visualisation and analytics, this new component of HP’s Business Intelligence Services provides customers with a more immersive view of the key driving factors in their print environment. Through this in-depth engagement, HP consultants can help customers quickly pinpoint behaviours to accelerate digitisation, efficiency gains and risk reduction.